On Zo’s first playdate with the neighbor baby, he pulled her hair so hard she cried. I told her it means he likes her (or else is jealous of her 3-month-old floppy mop of locks). I think she understood because on their next playdate, she stuck his hand in her mouth. Assertive and knows what she wants. Licking something to claim it as your own is a valuable life skill. 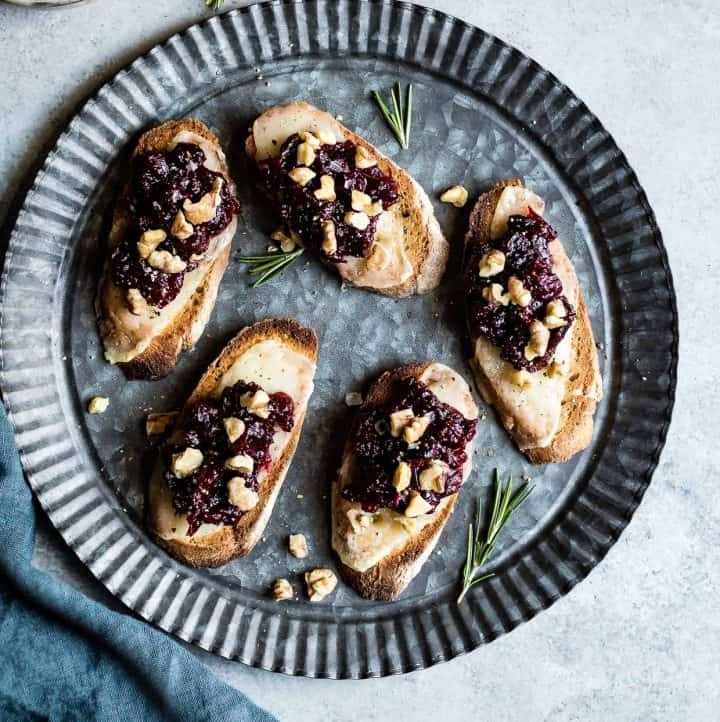 Take these berry, herb, and cheese toast bites, for example. I licked them all. They’re mine. 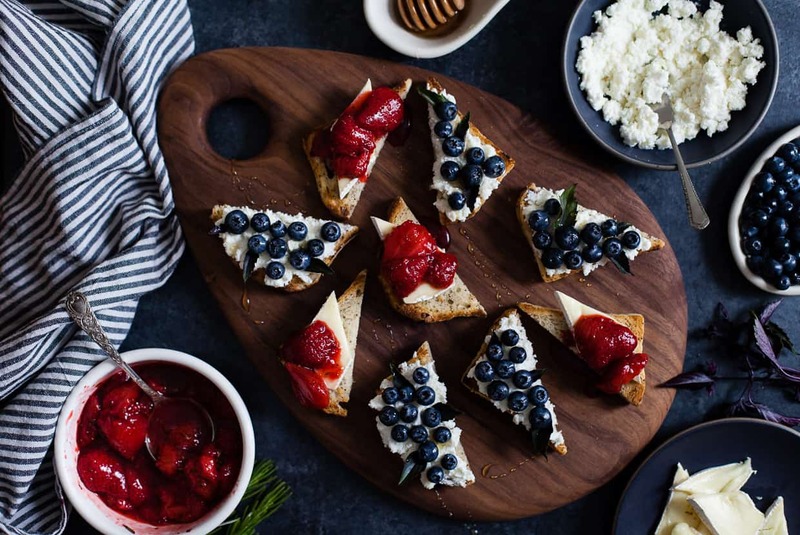 We’re going to fancy up your 4th of July party with fruit, herb, & cheese pairings on top of toast plates for a quick but festive party app. Mostly I just wanted an excuse to turn an entire loaf of Bread SRSLY’s sourdough into toast using my new KitchenAid Pro Line Series Automatic Toaster – it’s like an exclusive penthouse-access elevator for toast. The slot senses when you drop bread in and automatically lowers to toast. A light ding lets you know the toast elevator is rising with perfectly golden toast. A high-end toast tanning bed with a button that reads – I kid you not – “A little longer.” If the toast is not removed after 45 seconds, the lift lowers to keep it warm. TOAST SNOOZE BUTTON. 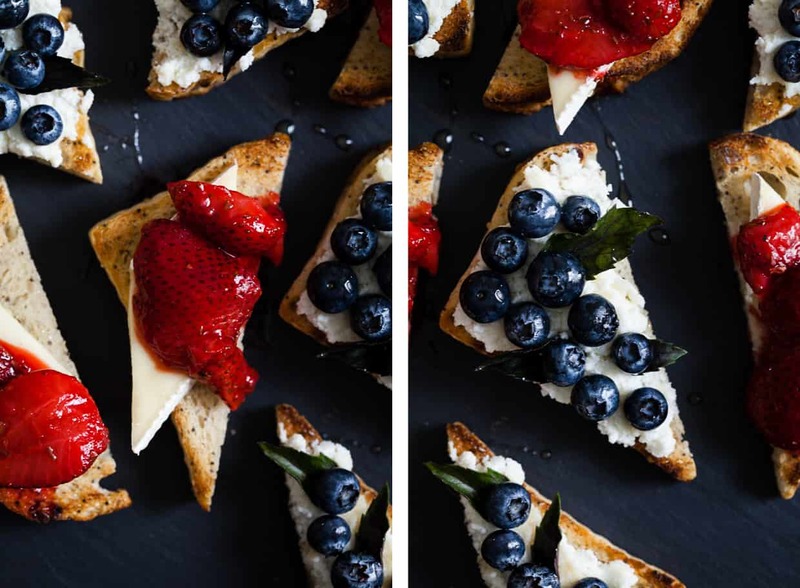 My red, white, and blue toasts are just two topping mash-ups – basil / blueberry / honeyed ricotta & rosemary / strawberry / brie – but toast knows no bounds. Go wild with your own berry / herb / cheese combos! For inspiration, try bringing the herbs to the fruit for a sniff pairing test at the market (totally normal, guys). 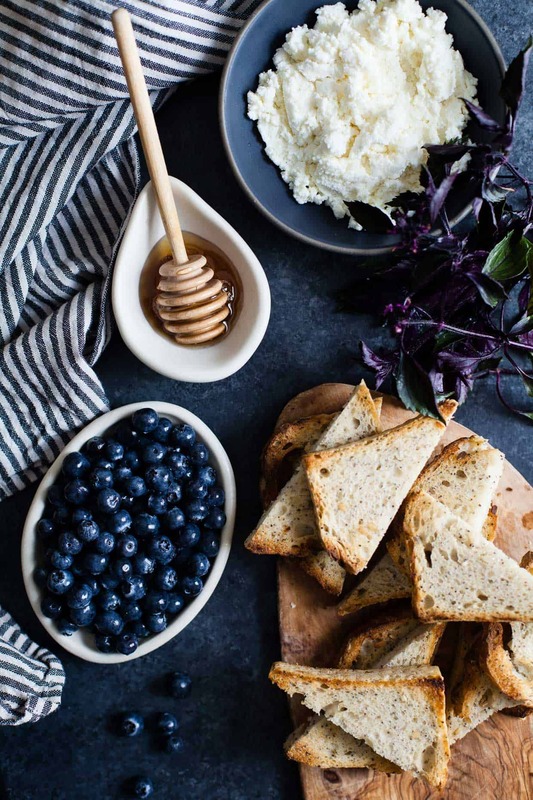 Here I’ve topped a mild honeyed ricotta with blueberries, whose subtle bright sweetness might get overpowered by a more assertive cheese. And a few sprigs of purple ‘wild magic’ basil from my neighbor’s Zo’s boyfriend’s garden add a touch of spicy sweet freshness. 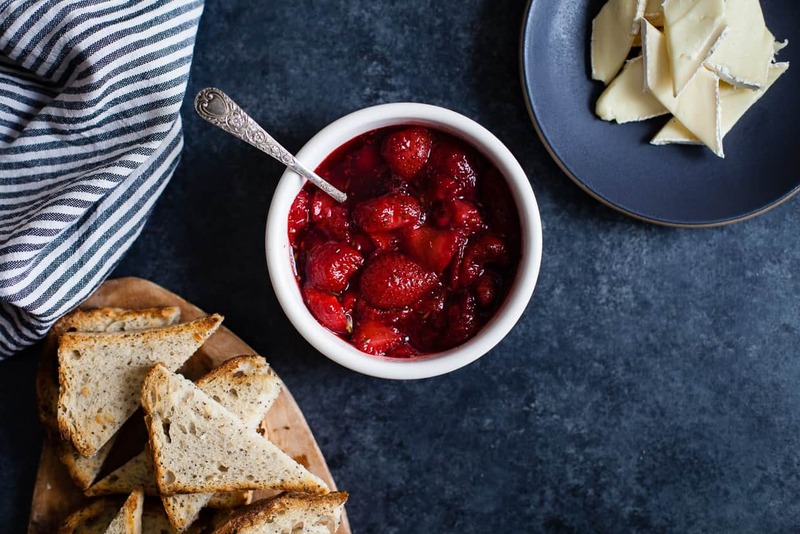 Next, summer’s sweetest candy – s-s-s-s-strawberry – gets cozy with winter’s woody rosemary in this luscious piney compote that’s spooned atop a creamy buttery brie. Strawberries and cream, anyone? 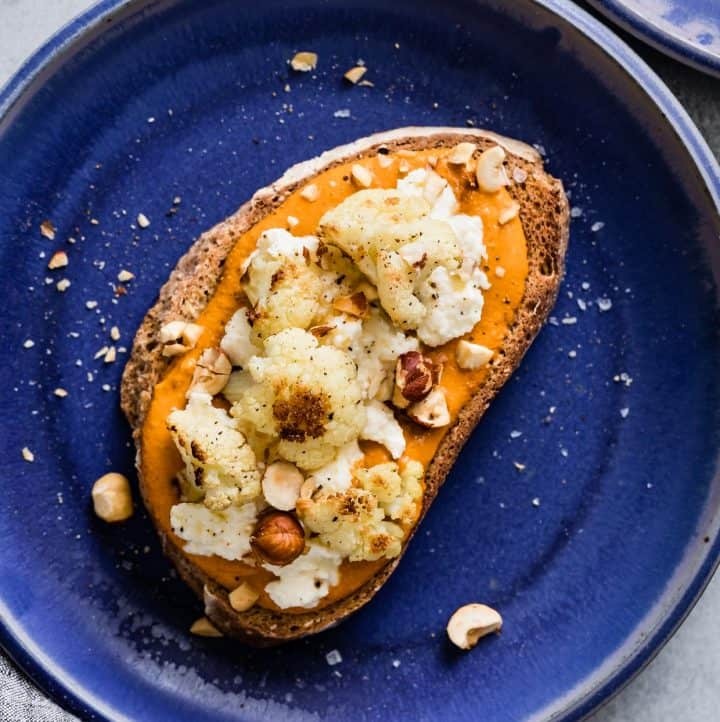 Get the recipes over on KitchenAid’s blog, The Kitchenthusiast! Mmmm mmmm really loving that combination of flavours!! So delicious! 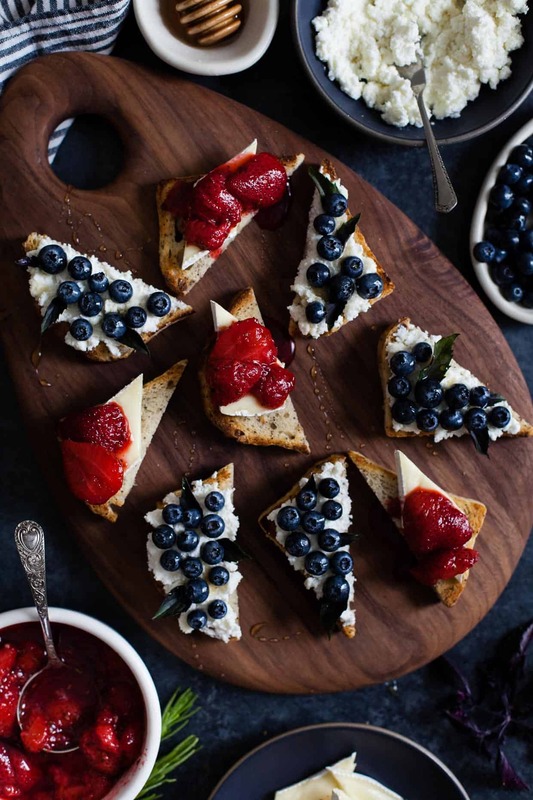 Such an elegant and delicious way to prepare cheese toast bites…gorgeous and mouthwatering. Thank you! They’re elegant, but so so easy! I’m really loving the imagery here of you licking each and every one of these toasts. Baha!! Gorgeous as always Sarah! Aww wow! 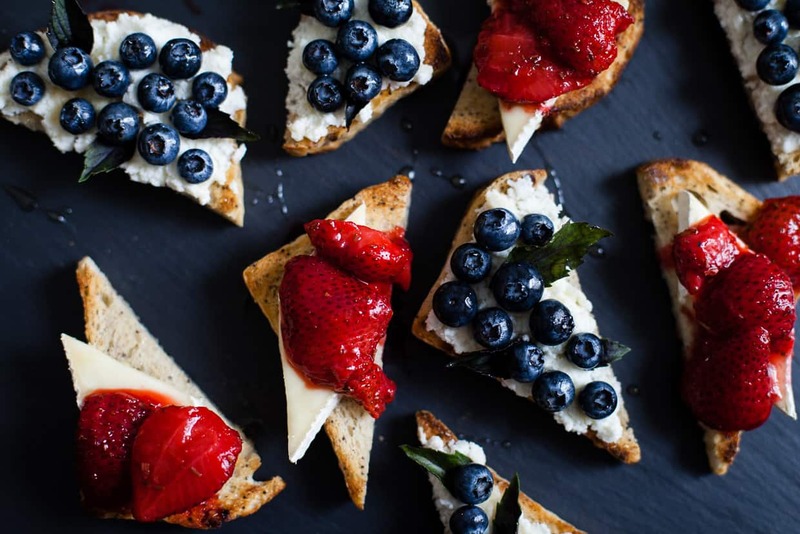 How cute are these berry toasts? And with cheese too? Amazing! I love how patriotic these are while still remaining natural. I don’t really like using food coloring if I can help it and having deliciously simple and wholesome bites like these are the perfect way to be both patriotic and healthier! Yes! 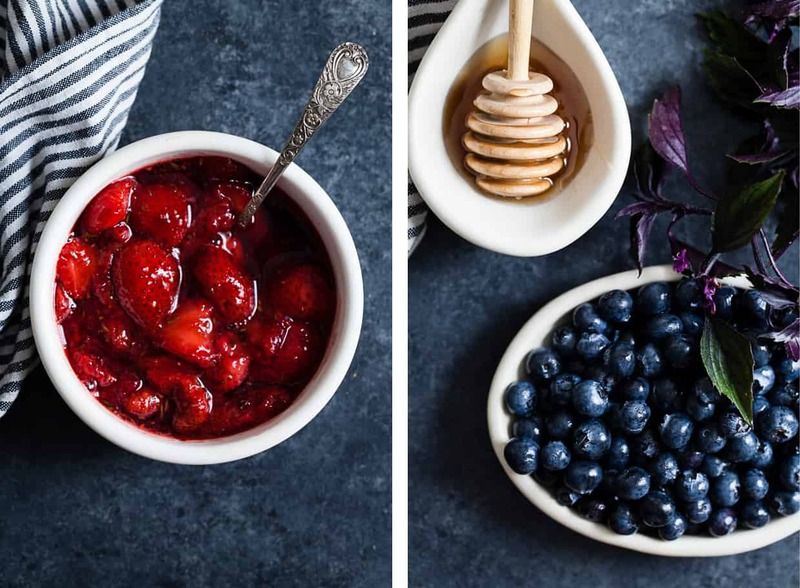 I’m with you – I love how the blueberries are so vibrantly blue when left uncooked! Say whaaaa? That auto toaster? I’d be toasting everything… and I’m all over the light ding… one must not be startled in the morning. And I say that with admiration for the developers of this toaster. My toaster oven has the LOUDEST five dings ever! It would wake up sleeping beauty in an instant! I gotta check out this new toaster. 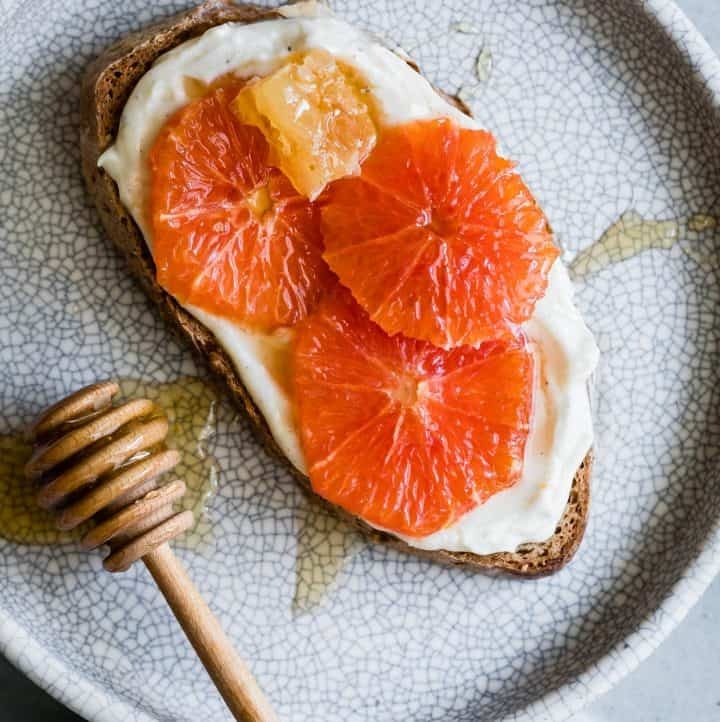 And these sweet little toasts.. Just delicious, Sarah and so festive! Yeah – I keep pulling out slices to show friends the new toaster elevator. It’s amazing. I’m shocked that your toaster dings at all! I’ve never had a toaster than dinged before…but then again, mine have all been about $10 from Target. Hehe. all these summer colors are just too beautiful!! Ohh baby play dates! Cute! Thanks! And what’s cuter than a baby, you ask? Two babies. Yummmmmm! Toast never looked lovelier. And now I’m dying to test out your toaster… Thursday toast party?? I want to live in your house with this toaster and these berries and that baby of yours. You need a room for rent! Sure – you can be our live-in Nanny. It’ll cost $200/month in rent. NBD.